Home Staging 101: What Do Buyers Look For in a Luxury Home? Now that you know the luxury market is on the rise, here are some tips for you, the seller, to make your home as attractive as possible to the luxury buyer. 36% included the presence of an expansive master suite as an important factor. Obviously, there are some features here over which you have little control at this point—namely, the location and the square footage of the property. However, this doesn’t mean that you can’t tailor your home to the luxury buyer. Check out our bedroom (link to post) and kitchen posts for helpful tips, for example. Resale value is also critical; keeping your home in prime condition, with up-to-date amenities, is a big boost here. 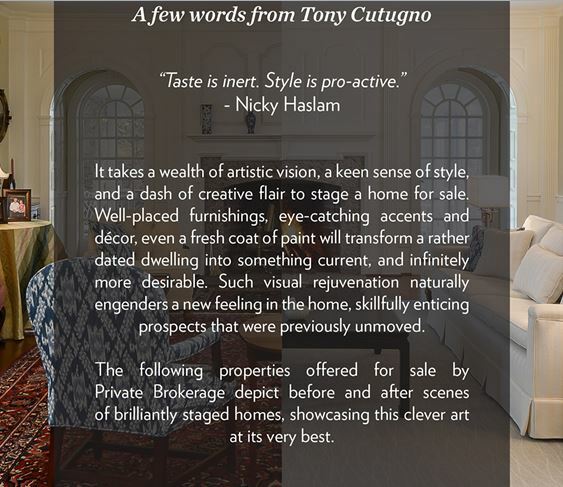 You may also want to consider staging your home to cater to a younger generation of luxury buyers. Bolstered by the tech boom and an ambivalence (at best) towards the stock market, millennials (young people in their 20s) now compose the second-largest group of recent home buyers, making up 28% of the pool. (“Generation Y,” the age group just slightly older, ranks first.) According to one developer, these buyers tend to prefer modern touches such as floor-to-ceiling windows, high ceilings, and open floor plans. If you are thinking about remodeling your home and intend to sell at some point, therefore, consider adding a modern touch. It could add significant value to your home down the road!